WordPress 3.6 rolled out with native video (mp4) and audio (mp3) players. 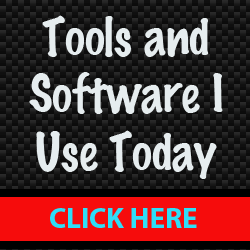 That simply means you no longer need 3rd party plugins and tools to play video and audio from your site. But before you do any happy dances, use this feature with caution. Watch the video below for a tutorial and discover why this feature could get you into trouble with your host. By default, 2MB is the maximum upload size for files in WordPress. However, most videos are much, much larger than that so you will need to increase this if you want to use this feature. You can go here to learn how to change this, but please be careful and back up your files before making edits. I tried the htaccess method on the link above and it took my site down. Fortunately I backed the file up before making the change and restored everything easily. You may even want to contact your host first and ask for help. That way they can tell you which method is preferred or works best. Also, some shared hosting companies may not even allow you to make this change. It just depends. I have my own dedicated server, so that's definitely one advantage of not using shared hosting -- even though it's quite expensive. I personally think you should continue using YouTube or whatever 3rd party you desire for your videos. That way, you're using up their bandwidth and not your own. Plus, if you already have a lot of subscribers, it makes sense to continue publishing most of your videos where people will see them. Not to mention, you'd miss out on partner revenue. With audio files, it's a different story because they may not be as large. So it's up to you whether or not you want to host them yourself or continue using a 3rd party. Just monitor your bandwidth usage in your web hosting control panel. Still Want to Embed Video? If you are on a shared hosting environment and you want to embed videos, make them short (2 minutes or less) so the file size is not as large. For example, you may want to create a quick intro video on your homepage. Or maybe you have a video for a sales page that you don't want hosted on a 3rd party site for whatever reason. If you don't have a lot of traffic to your site, this won't be a big deal. However, as your traffic grows, that could become an issue down the line. 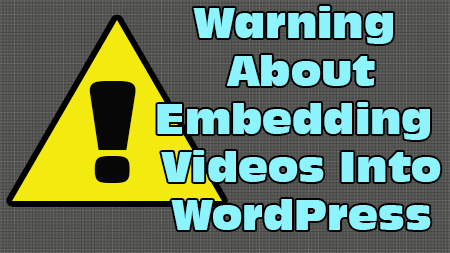 And finally, you can now embed videos into your WordPress site from popular 3rd party providers (Vimeo, YouTube, Amazon S3, etc.) by simply adding the URL into the editor. 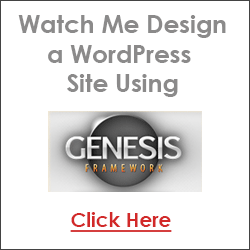 So just grab the link to the file and WordPress will automatically convert it into a video.